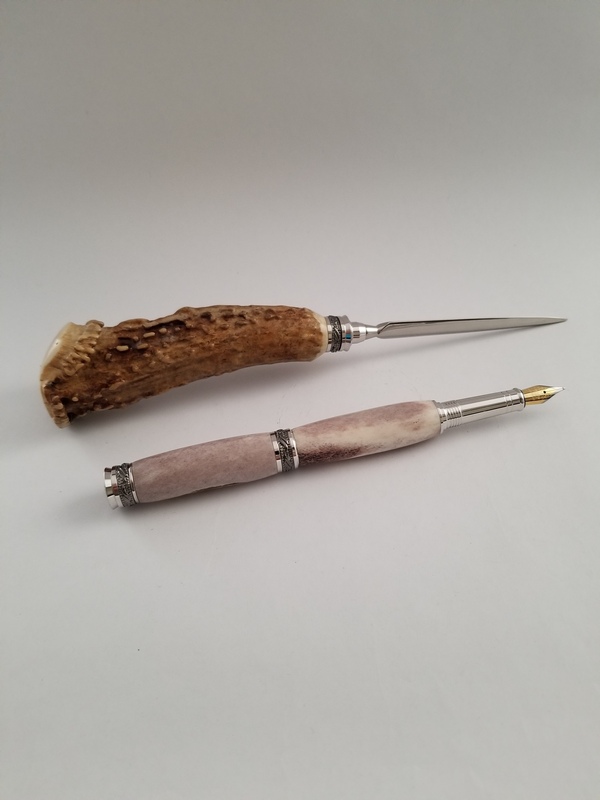 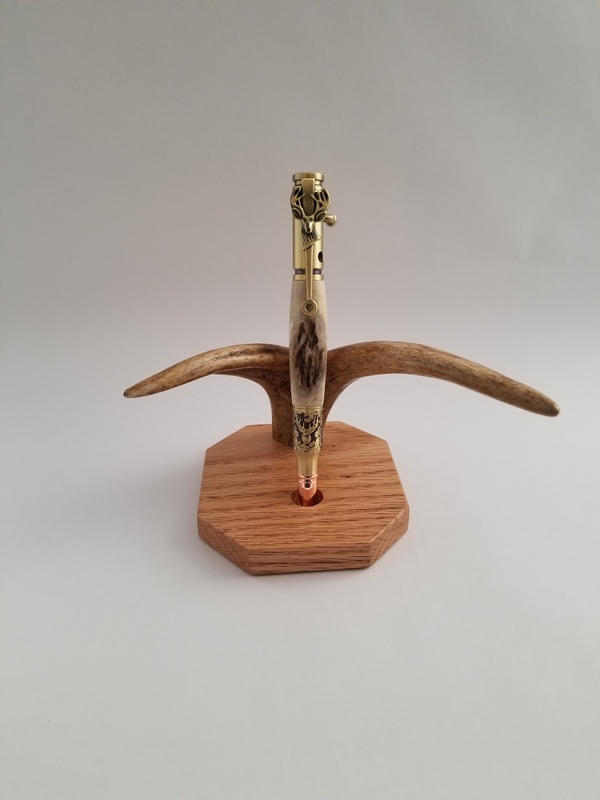 The pen tip features a relief cut scroll engraving of a trophy deer mount. 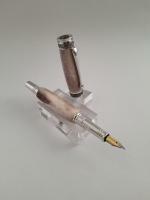 The antiqued plating brings out all the wonderful details of the engraved design. 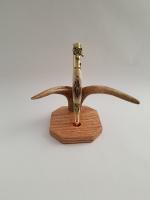 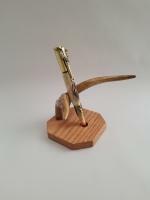 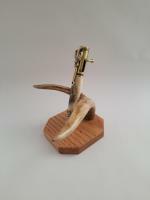 The pen clip features a replica deer mount. 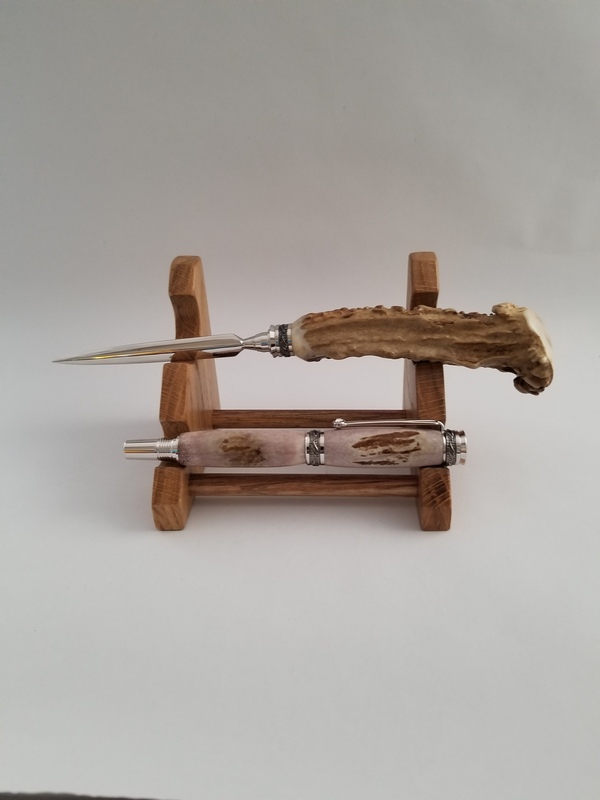 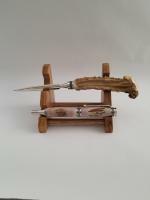 The rustic look of this antique brass pairs beautifully with the barrel carefully selected from an antler to feature the texture of the uncut antler.